Both in the work place and elsewhere. 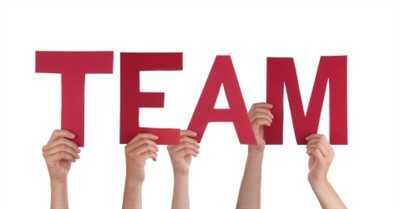 Much is written about Teamwork and we regularly read about the traits of “Great Teams”. With recent changes in Managers in the sporting world, it made me realise that teams are teams no matter what the discipline…And similarly the management of! There will always be a strategy and plan…Set by the Manager and one that the players or people will be expected to adhere to. Within that remit, the best teams and their individual’s will feel empowered to make their own decisions, to satisfy a customer complaint perhaps or in the sports world to play with flair and freedom…But with an overall shared objective. The people within the teams will have roles and responsibilities specifically chosen to play to their strengths but where they regularly collaborate with others. The positions on a sports field or the roles within the workplace. The key always to know the best person for the job but all feeling equally confident to help out…Sales & Service…Attack & Defence! Mutual collaboration. The best Managers will encourage their people, and likewise celebrate success, and as a team. Similarly and at regular intervals, a good coaching framework will be evident. During the week and throughout the year…Similarly if business needs dictate a sudden change…Particularly on the sports field! Feedback is also vital…Its how we all learn & develop. Both in terms of our own skills, how we perform to plan, and in readiness for the next challenge. If you want to make sure that you are going to win all of your games, make sure that you lead your people, that clear instructions are in place…But in a way that allows for creativity and individual flair. Similarly, react to the demands of the business in a timely manner, and celebrate success as one!